Craigatin House Pitlochry wins Star Award! We are delighted and thrilled to announce that Craigatin House & Courtyard Pitlochry has won a Perthshire Chamber of Commerce Star Award for Tourism and Hospitality. Thank you very much Perthshire Chamber of Commerce. Some pictures follow of our award and the night we won! 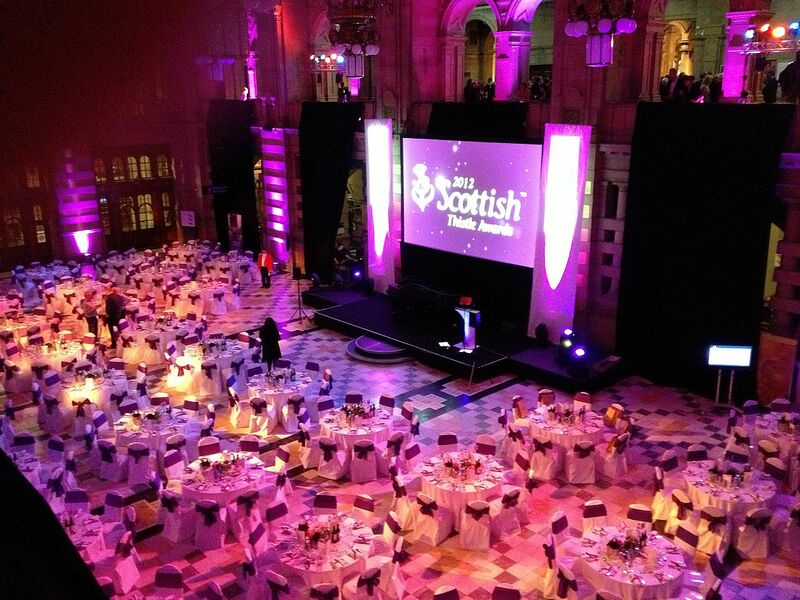 The prestigious annual Visit Scotland Scottish Thistle Awards took place last night at the stunning Kelvingrove Art Gallery & Museum in Glasgow. Sadly for Craigatin House and Courtyard as regional winners, we didn’t win a Scottish Thistle ourselves. But we came really close and had a fantastic night, a delicious dinner in a fabulous venue in the process. Well done to all the Scottish Thistle winners!